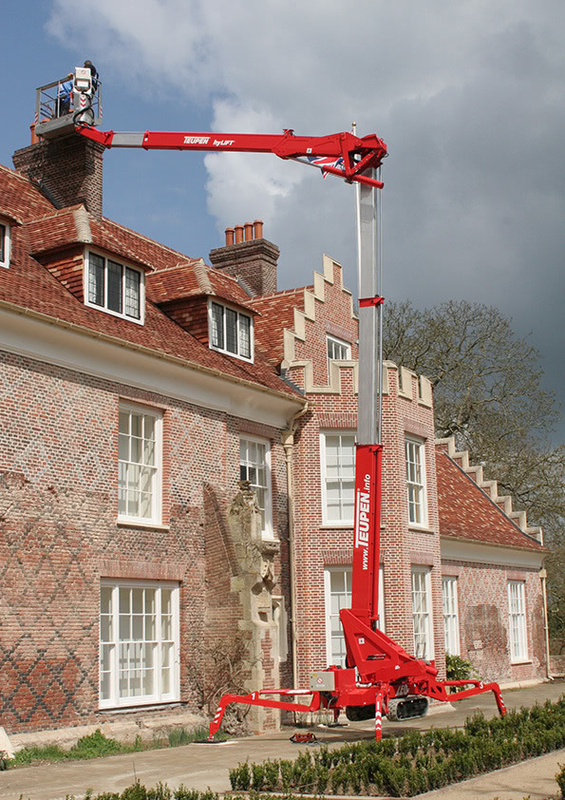 The Teupen Leo 23GT is available to hire from JMS Powered Access. 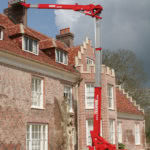 It is especially suited for job-sites that provide little space and require great working heights. Particularly in seemingly inaccessible spaces, the Leo 23GT proves its strengths. The variable and quick multi-position stabilising system, the 180° rotatable basket and the flexible articulated and telescopic boom are ideal for quick and efficient applications. Compact & agile - With its compact measurements of only 0.98m passing width, the Leo 23 GT fits through almost every entrance. While manoeuvring, the sensitive cable control allows precise positioning and offers a better overview with the operator walking alongside the machine. All machine functions are equally available from the basket and the ground. Intuitive controls - The well-arranged control set with colour-coded functions and only four joysticks allows the operator a safe and convenient handling with the lift. Up in the basket there is a fixed control panel. To drive or set up the stabilisers the lift can be operated with the cable control set. 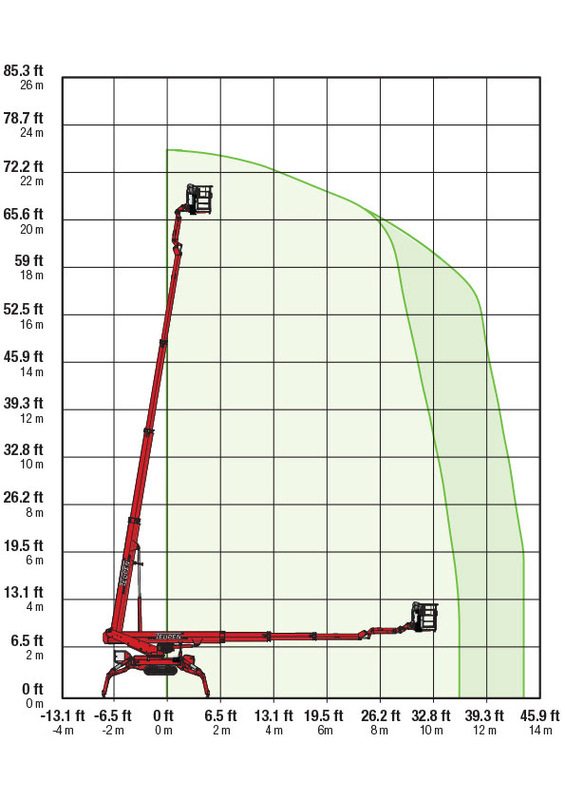 High-performance stabiliser system - Safe positioning even with little space: The multi-position stabiliser system permits to automatically set up the machine in confined areas and on slopes. It offers three different setup positions: Both sides wide, one side wide & one side narrow or both sides narrow. In terrain or over obstacles the stabilisers overcome a height difference of 1,00 m! 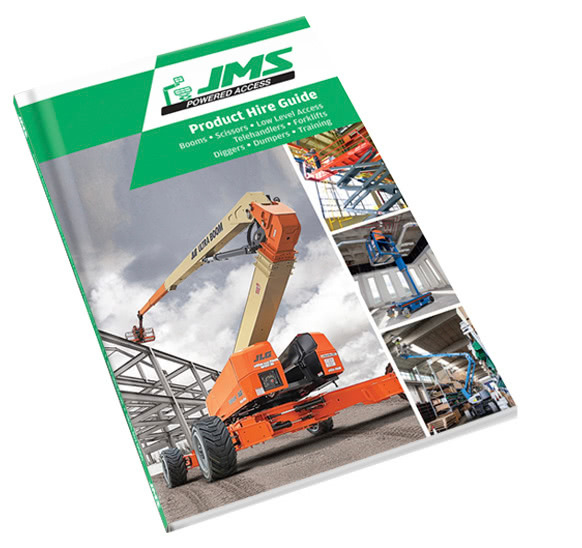 Height- & width adjustable tracks - The hydraulically height and width adjustable track system permits narrowing and lowering the machine for passing entrances or widening the track footprint for more ground clearance and traction for driving alongside slopes or in terrain. 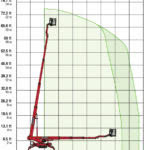 In standard version the tracks are mechanically adjustable, upon request also hydraulically, at the touch of a button. Rotatable basket - The unique corner mounted basket adds extra versatility to the lift operation. The LEO23GT features a 180° rotation for true extra flexibility and the most precise basket positioning possible. Dual power source - The right power source for every job: in standard version the Leo 23GT is equipped with a 230 V electric motor for a silent and zero-emission work inside of buildings. For outdoor use it has a powerful and robust Kubota diesel engine as standard.